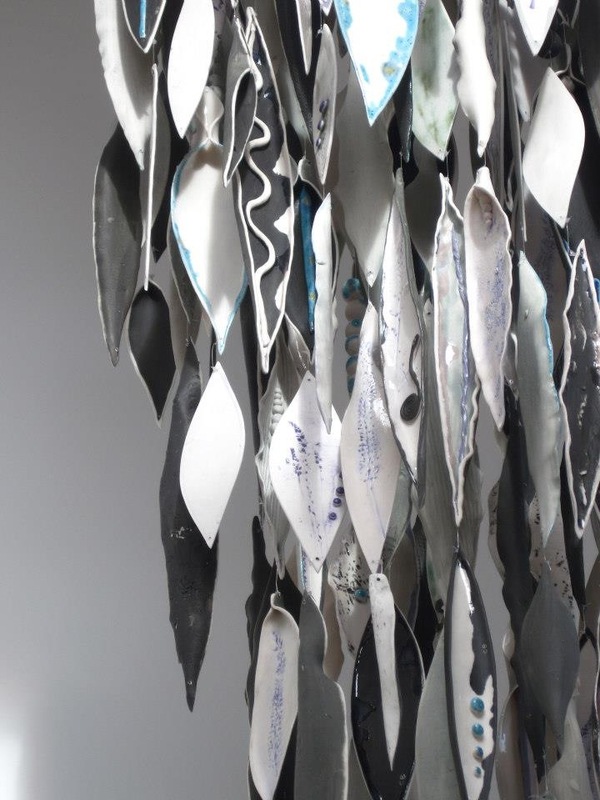 Create an impact in any room with these magnificent porcelain sculptures. 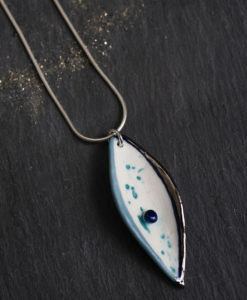 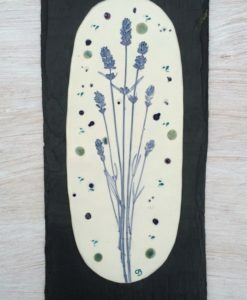 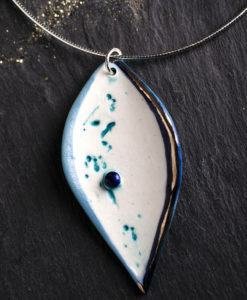 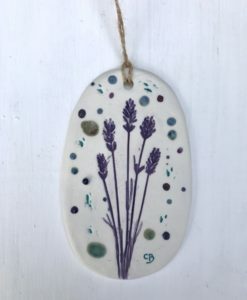 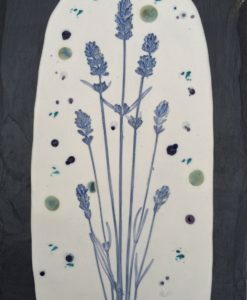 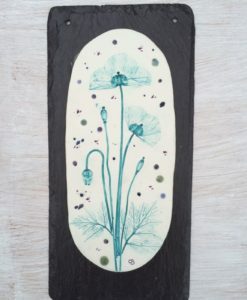 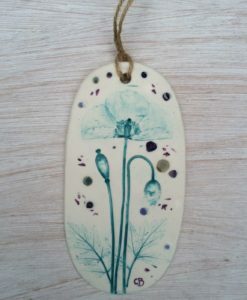 Each porcelain piece is hand crafted into a range of shapes and decorated with various textures and pressings inspired by nature and organic forms. 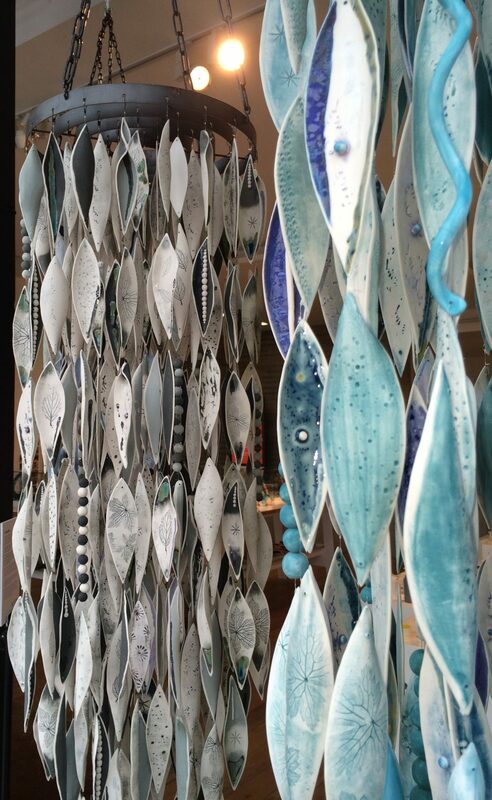 Create an impact in any room with these magnificent porcelain sculptures. 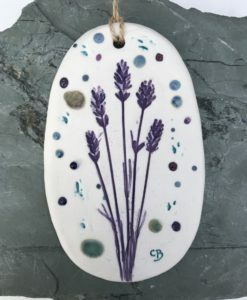 Each porcelain piece is hand crafted into a range of shapes and decorated with various textures and pressings inspired by nature and organic forms. 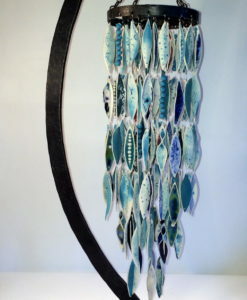 Each piece is biscuit fired, glazed, re-fired and individually assembled onto steel circular frames. 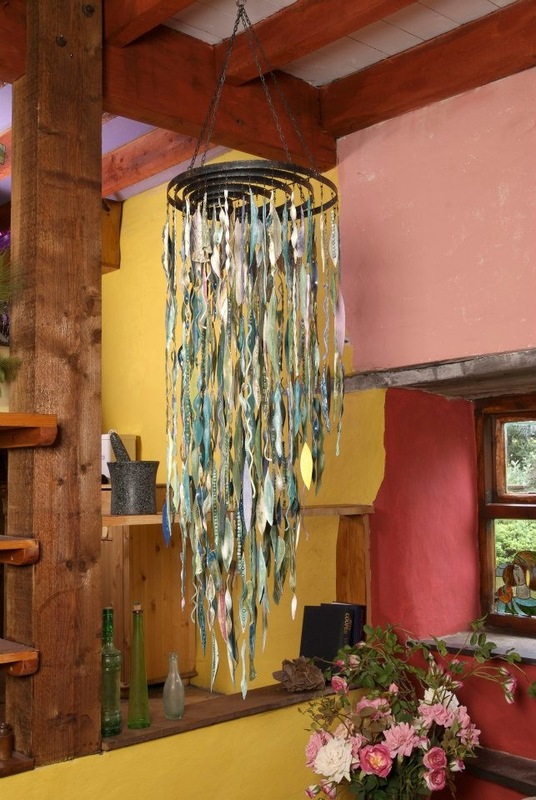 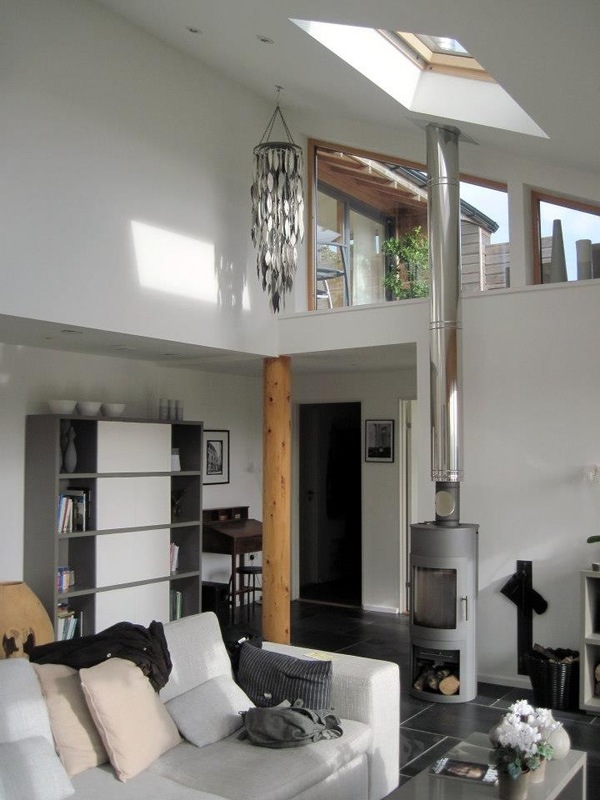 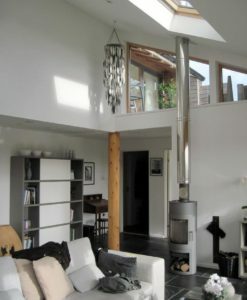 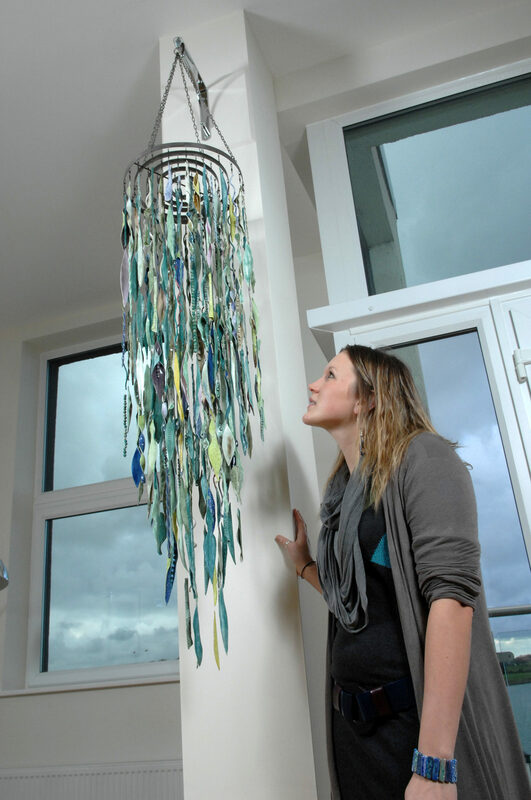 Standard lengths are between 1′ and 5′ and can be suspended onto various sized frames to suit your space. 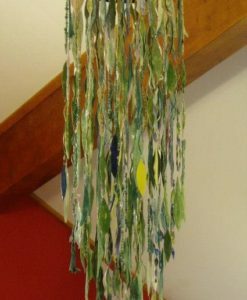 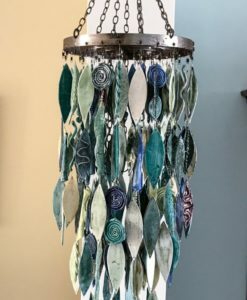 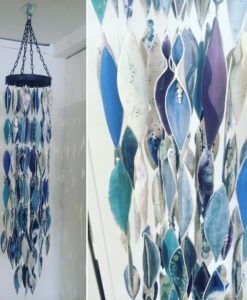 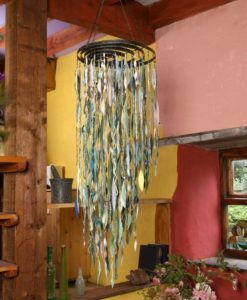 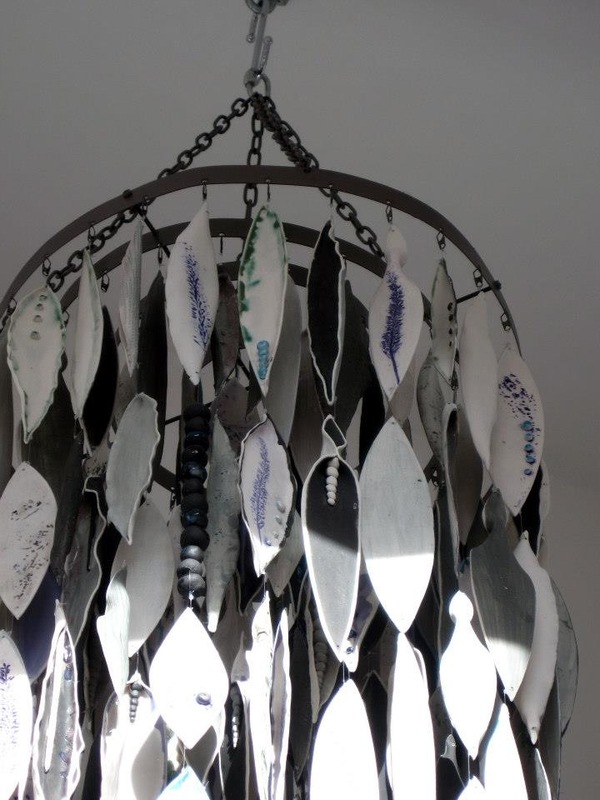 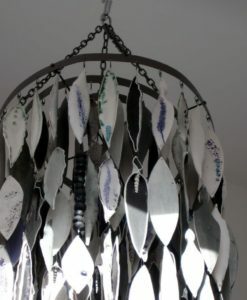 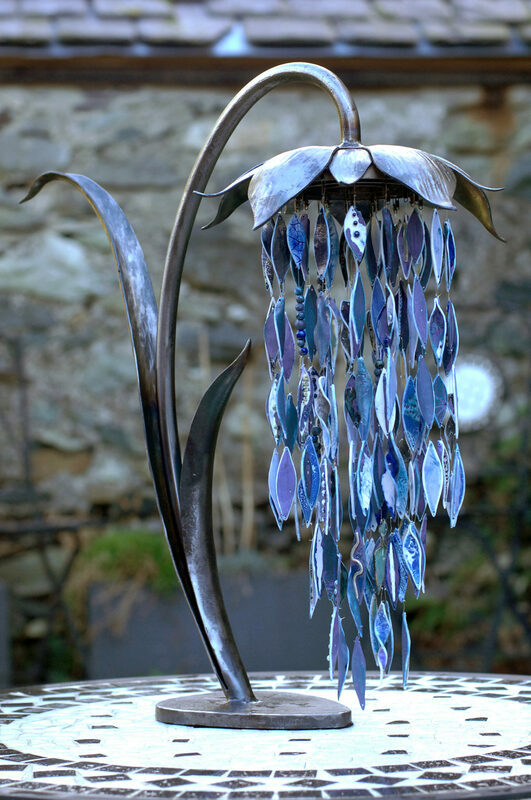 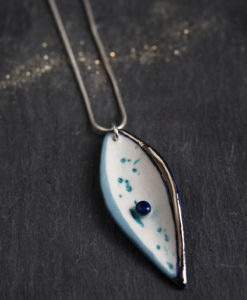 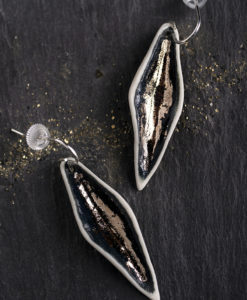 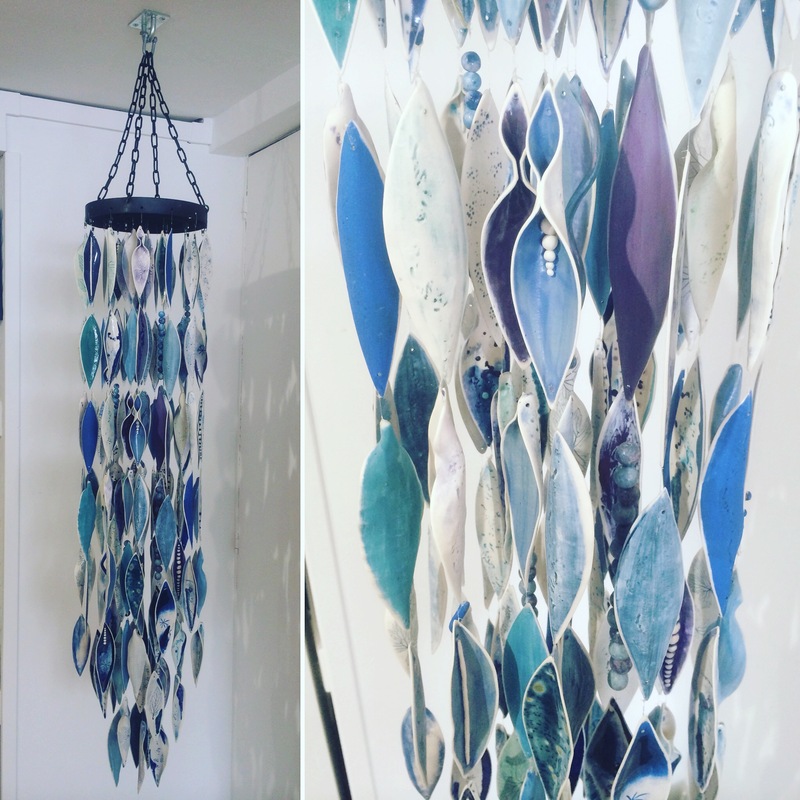 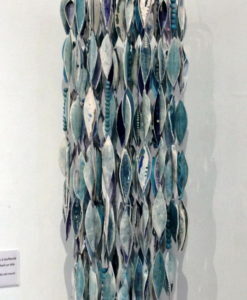 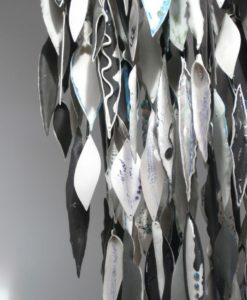 Porcelain hanging sculptures can only be made to commission and are designed to suit your space. 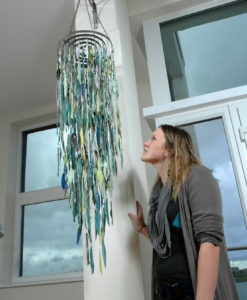 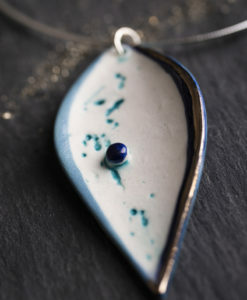 Charlotte will work closely with you to create a one-off piece. 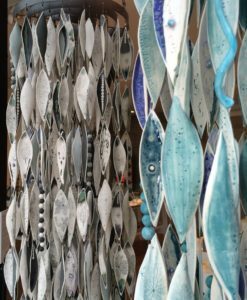 You will be able to decide on the length and number of circular frames used, and also choose the colours and designs for the porcelain pieces. 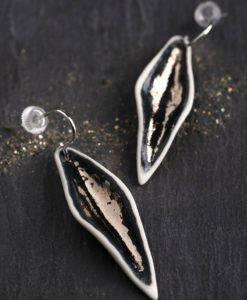 Prices will vary depending on size and length. 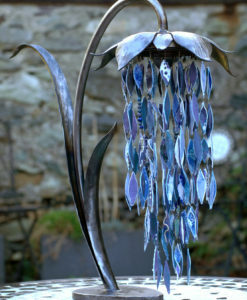 Larger sculptures will need to be assembled on site at an additional cost.